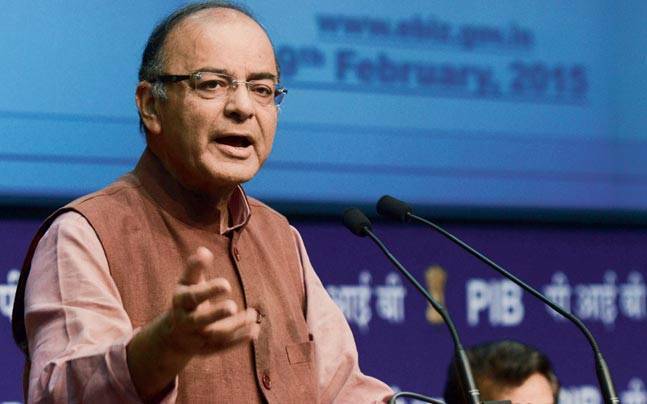 Union Minister Arun Jaitley today accused Chief Minister Arvind Kejriwal of delaying the proceedings in the defamation suit filed against him and five other AAP functionaries by the BJP leader. The finance minister’s counsel contended that irrelevant questions were being asked by the counsel for Kejriwal during his cross-examination in the high court and sought an early hearing in the matter. “They are asking irrelevant questions and also wasting court’s time. Why they are delaying the trial? We are seeking earliest dates possible because they (Kejriwal’s counsel) are in no hurry to conclude the cross-examination (of Jaitley),” senior counsel Sandeep Sethi and advocate Manik Dogra, appearing for Jaitley, told Delhi High Court Joint Registrar Rakesh Pandit. 64-year old Jaitley, who was present in the court for the ninth round of questioning, maintained his calm and replied to 26 questions during the one-and-a half hour long hearing in the Rs 10 crore civil defamation suit filed by him. Senior advocate Anoop George Chaudhari and advocate Anupam Srivastav, appearing for Kejriwal, said there was no need for an early hearing and the court should give the next date as given in any other case. To this, the court said it would decide it on the next date and listed the matter for February 2, 12 and 13 next year to continue Jaitley’s cross-examination. The court was also informed by Jaitley’s counsel that earlier a single judge of the high court had directed the joint registrar to expedite hearing of a defamation suit which was challenged by Kejriwal and AAP leader Ashutosh before a division bench. The division bench had dismissed the plea questioning the decision of the single judge saying it was “misconceived” and “devoid of merit” and that speedy trial was the “need of the hour” and “highly recommended in all cases”. Jaitley has filed the defamation suit against Kejriwal and AAP leaders Raghav Chadha, Kumar Vishwas, Ashutosh, Sanjay Singh and Deepak Bajpai, for accusing him of financial irregularities in the Delhi and District Cricket Association (DDCA) of which he was the President from 1999 to 2013. The allegations were denied by the union minister. During the hearing, Jaitley “completely denied” the suggestion of Kejriwal’s counsel that he had not replied to several letters of suspended BJP MP Kirti Azad making accusations of irregularities in Syndicate Bank Cricket Club transfer matter because they were true. Jaitley’s counsel also objected to one of the questions asked by the AAP leader’s counsel relating to categories of cricketing clubs affiliated with DDCA. “The plaint concerns allegations of defamatory statements made by defendants (AAP leaders) and it is not relating to clubs. We can’t go on unnecessarily with irrelevant questions. It is not related to issues of the case,” advocate Sethi said. To this, advocate Chaudhari said he had the right to ask questions from the witness, following which the court said it would decide on the objection at a later stage. Jaitley had earlier told the court that he has been cross-examined “eight times” by Kejriwal’s counsel who have not asked any question on the alleged defamatory remarks, for which he had filed a libel suit against the AAP leaders. Instead of asking questions relating to the allegations, they were going “all around the world”, he had said. The court also fixed January 30 next year for hearing arguments on separate pleas of Kejriwal, Ashutosh and Chadha seeking to place on record additional documents relating to DDCA’s special audit report for 2012-13, 2013-14 and 2014-15 and asked Jaitley to file his response on it. Jaitley had filed a second defamation suit of Rs 10 crore against Kejriwal after an exchange of heated words between the counsel representing AAP leaders and those of union minister over the usage of abusive words against the latter.